Do you want to feel more secure while you are away from your home? Whether you are at work or on vacation, securing your home while no one is there is a major concern for most families. A DIY Home security system will provide the peace of mind you are looking for and will give you an extra set of eyes on your home at all times. Even if you are home, this device will protect your young ones and loved ones. Keep your family and your belongings safer with these security systems. The following reviews provide the best DIY home security systems on the market today that will provide you the best protection and peace of mind. 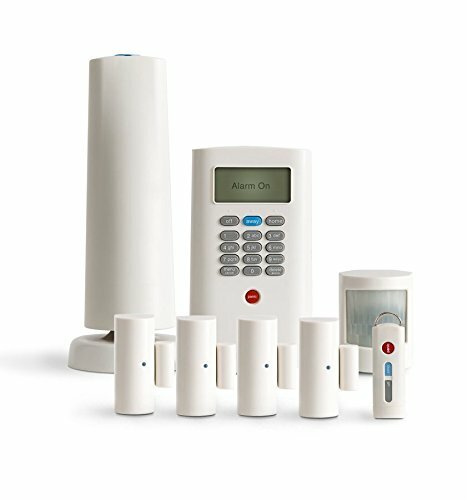 The Simplisafe2 Wireless Home Security System 8-piece Plus Package is an affordable security system that will keep you and your belongings safe year after year. This DIY home security system can be installed by you in under an hour for half the cost. You can sign up for monthly monitoring with no commitment or long term contract if you desire the convenience of a monitoring company. 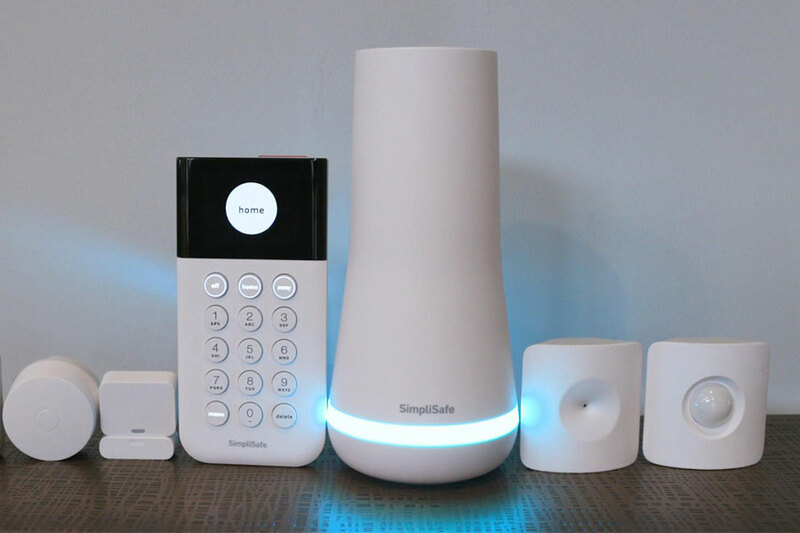 The Simplisafe2 Wireless Home Security System has a monitoring station that is UL Certified offering their services nationally 24/7 allowing you to feel confident that your home will be secure day and night. Every system includes a cellular modem that is built-in making it nearly impossible for a thief to defeat. You can choose the monthlymonitoring and you will receive the highest quality service, and yet save hundreds of dollars over traditional home security systems. When you purchase this DIY home security system batteries will be included and the battery life is 26,280 hours, which will last around 3 years. This home security system hasa three year warranty against manufacturer defects. 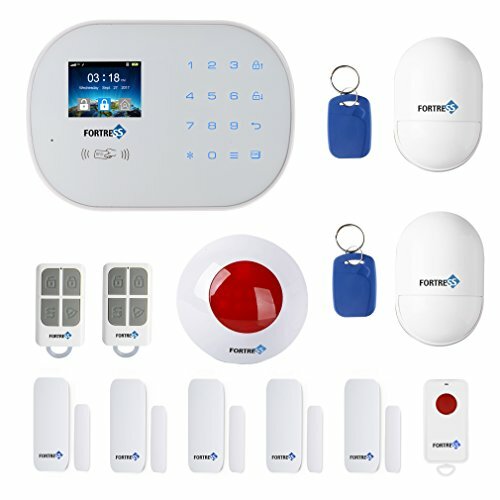 The Fortress Security Store ™ GSM-A Wireless Cellular GSM Home Security Alarm System Auto Dial System: DIY Kit is a great security system for an affordable price. This DIY home security system has all the functions of a high-end alarming monitoring system without the monthly fees. The Fortress Security Store ™ GSM-A Wireless Cellular GSM Home Security Alarm System is totally wireless with a built-in GMS dialer. This DIY home security system activates the siren then dials your phone or sends a text message in case of intrusion. With the remote monitoring you can call the system at any time and check the status, remotely arm, or disarm the alarm and use the intercom function. This allows you to protect your home and your belongings easily with a simple phone call. The Dual network will allow you to connect the unit to both your landline and GSM simcard in the event that one fails, this provides back up security. The landline protection allows you to be protected if your landline is cut by an intruder with a siren that automatically sounds. 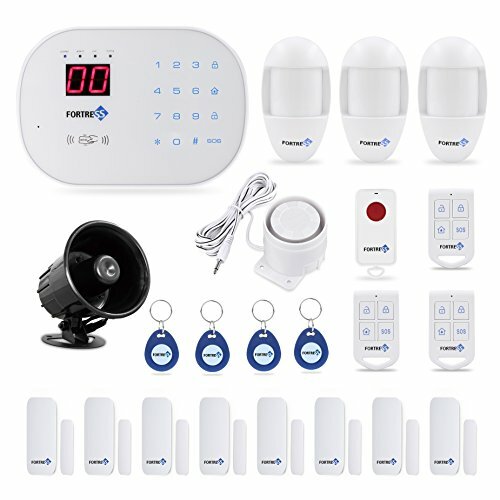 The PiSECTOR 3G/4G Cellular & Landline All in one Wireless Security Alarm System DIY kit with Dual Network for Simultaneous Double Protection GS08-M20 will protect your home and your belongings with a high level of security equivalent to professional monitoring services. This DIY home security system has a dual network for double protection to your home and property at the same time with the GSM, Landline/VolP. This device will Auto-Dial-out or send you a SMS to alert you of an emergency. It covers cases of burglary, fire, flood, and SOS. These features are similar to other monitoring systems but allow you to do it yourself without having monthly monitoring fees. The chime function will notify you when someone enters your home. The PiSECTOR 3G/4G Cellular & Landline DIY home security system will notify you when the door/window is open with an auto-detector to prevent you from arming the system while a door or window is open before leaving. You can override this feature by holding the ARM button. The stylish door/window gap detectors have strong 3M double-sided sticking tape for easy installation. The microprocessor-controlled pet-immune feature sensors for detecting motion of objects above 50 lbs with pre analysis before alerting to minimize false alarms.